Contacts are, no doubt, amongst the most prominent data contained within our Android devices. We often have to export contacts on Android, be it for the sake of making backup or for transferring them to a new device. Now, if you are wondering how to export contacts on Android, you have reached the right place. Today, we /ping you this post specifically to make you aware on how to export contacts to your SIM card, USB storage, Google or to new device. Let's explore. In case you are wondering how to export contacts to your SIM card then there is nothing to worry about. Be it your mobile device or WhatsApp, or other social media contacts, you can move them to your SIM card easily. Frist of all, on your Android phone /powse 'Contacts' > 'More' > 'Import/Export' > 'Export to SIM'. Now, you need to select the source for the contacts you want to export, in this case your mobile is the source. So, hit on the 'Phone' tab and select the desired contacts. If you want to export all contacts then, 'Select All' > 'Export'. You need to wait a while, depending on the number of contacts and they will be exported to your SIM card. Note: In case you have a dual SIM mobile, you need to mention the SIM to which you want to export the contacts. You can also export the Android contacts to your USB storage. It will help you move the contacts to another device pretty easily. 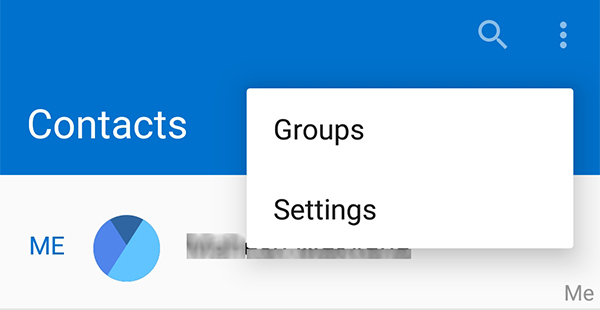 On your Android mobile go to 'Contacts' > 'Menu' or 'More' button > 'Import/Export'. On the next screen tap 'Export to storage' > 'Export to SD card'/'Export to USB storage' > 'Select All'. Hit 'Export' and your contacts will be stored on your SD card as a vCard. You can connect it to a new phone and get the contacts there. Here is another method to export contacts from Android mobile, i.e. by sending them to your Google account. Launch the 'Contacts' app on your Android phone and click the 'Menu'/'More' button. Press 'Import/Export' > 'Export to SD card'/'Export to USB storage' under 'Export to Storage'. The vCard will be stored on your SD card, note the name. Copy the vCard file on your computer. Now, on your computer login to the same Gmail account > 'Contacts' > 'More' > 'Import…'. Click on 'Choose File' and pick that specific vCard file here and press 'Import'. All the contacts from the file will be synced to your Google account. The most effective process that we would recommend to export contacts is Tenorshare UltData for Android (Android Data Recovery). 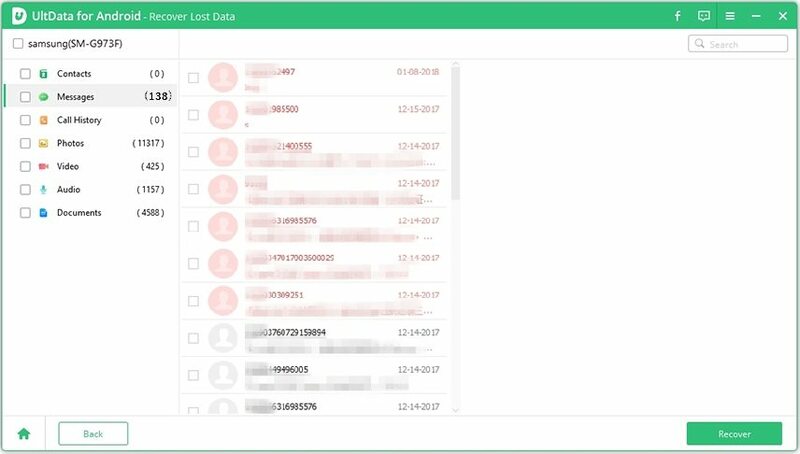 This tool recovers contacts, deleted or lost videos, messages, photos etc. Due to its high recovery rate, the tool has captured a significant portion of the market. Being compatible with both Mac and Windows devices, it also supports most Android make and models. Apart from the said features, it can also selectively preview and recover individual contacts and files from your Android phone. Step 1: Install Tenorshare UltData for Android Data Recovery after downloading it on your PC. 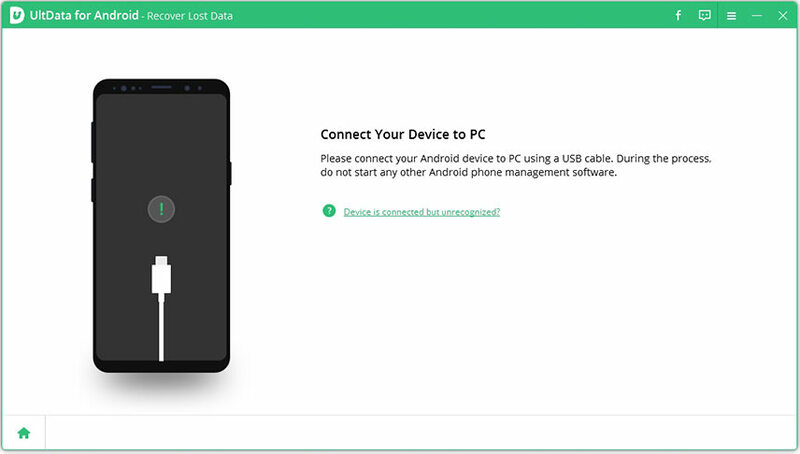 Get your Android connected with the PC through a USB cable. Launch the software afterwards. Step 2: Once you allow USB debugging, the software detects and shows your Android device on screen. Pick the specific data type you want to recover by marking the checkbox against it. Select 'Contacts' here followed by hitting the 'Next' button. Step 3: Preview the file list and then begin the recovery process. Choose the contacts you want to restore and then press the 'Recover' tab from the bottom-right corner. Now, select the file type (.xls if you want to export contacts to excel file) and then tap 'Save'. Step 4: Once the contact file is saved on your PC, disconnect the Android phone and connect your new Android mobile. You can restore the contacts to it now. From the above article, we found that Tenorshare UltData for Android (Android Data Recovery) is the ultimate way for exporting contacts from your Android mobile. Moreover, it enables you a secure way of transferring various other types of data as well, as it is a read-only program. You hardly run the risk of compromised data with this software.